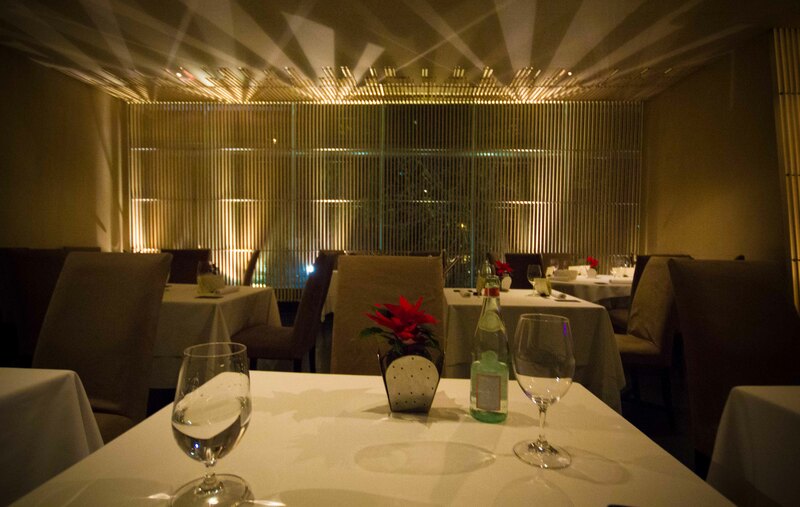 I have been curious with Mexico City’s fine dining restaurants for a few years. Last year, as I started to learn more about the amazing chefs in Oaxaca, I also started learning more about chefs in other areas of Mexico who are supremely talented and respected on the world scene. Of course, the majority of these chefs are concentrated in Mexico City, so I started formulating a plan to spend a few days there on my way home from Oaxaca this year. Originally when I booked my stay, I was hoping to have a friend with me to explore the Distrito Federal, but unfortunately that fell through. I had already booked my flights, so I knew my (eating) adventures would have to be done alone. I am a follower of the World’s 50 Best Restaurants List and I’ve even subscribed to their updates which shows a countdown to the naming of the list each year. I’ve used the list as inspiration for travel as well as for ideas of where I may want to visit after I’ve booked to visit a city. My short side trip to Mexico City on the way home from Oaxaca was completely a product of the naming of the World’s 50 Best Restaurants List this past year. 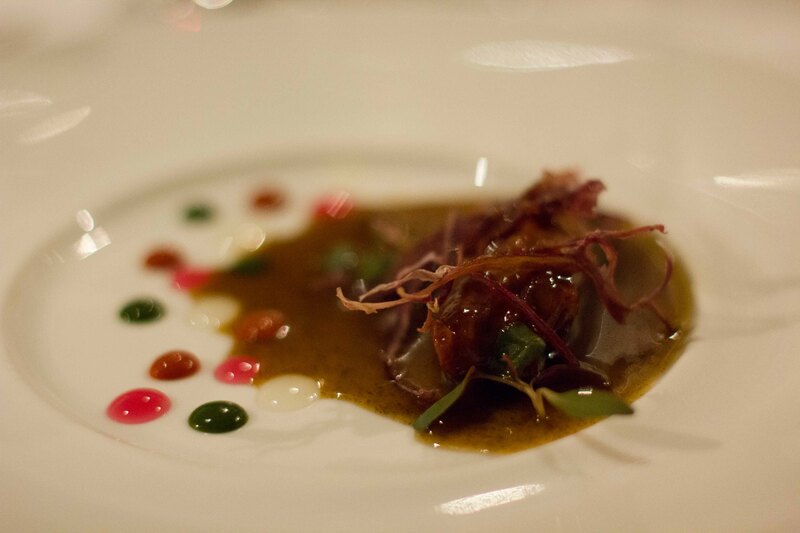 Mexico had 2 restaurants, Pujol and Biko, on the World’s 50 Best list and both were located in Mexico City. I decided if I were going to go, I had to eat at both. Based on this, I booked an extended 2 evening layover on my way back from Oaxaca. Earlier last year, the World’s 50 Best group introduced an Asia’s 50 Best List and followed it up with a Latin America’s 50 Best Restaurants List in the fall. I was happy to see 2 chefs that I met and had great meals last year at Casa Oaxaca (#34) and Pitiona (#43) in Oaxaca were on the list. I also saw there were a few more restaurants in Mexico City listed. I researched these others just in case something stood out to make me change my mind about my 2 choices, but in the end I stuck to my original plan. I was silly and let people get into my head a bit about travelling alone to Mexico City but Vacation Sus is travel smart and advanced planned my transportation, reserved the beautiful Las Alcobas hotel in the very safe neighbourhood of Polanco which also happened to be where both of the restaurants I’d be visiting were located. 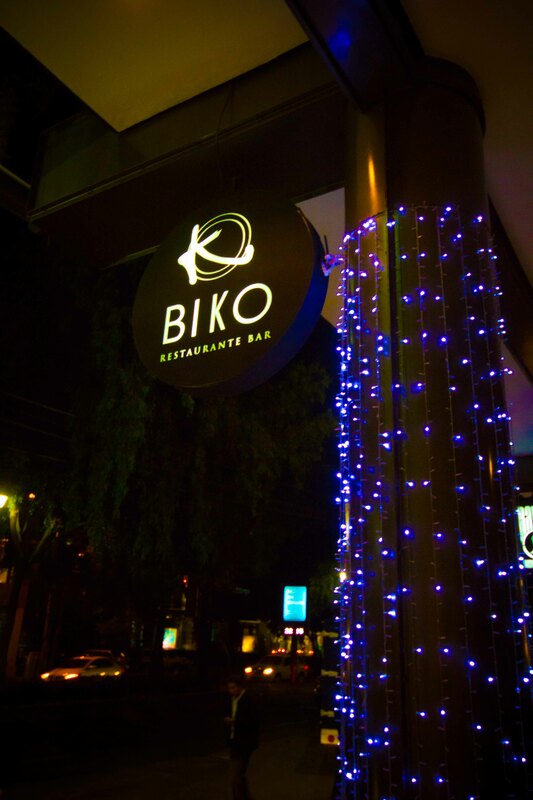 Biko is rated #31 on the World’s 50 Best Restaurant List. Pujol is #17. They are ranked on Latin America’s 50 Best list as #6 & 3 respectively. I decided if I were going to do it, I’d save “the better” for last. I was able to book Biko through my hotel and was delighted to see that it was only a block from my hotel. Fears of having to navigate the city at night on my own vanished and because of its location, I reserved my meal at what I believed to be the respectable time of 8:30pm. When I arrived at the restaurant, I found I was the only person there. People ask me if I mind eating alone, and to be honest I actually relish in it. Not being with others means I don’t get distracted from the meal in front of me and I focus all of my attention on the food. My thoughts on solitary dining are worthy of a whole post on its own, that I hope to write one day soon. The only thing that I am uncomfortable about when I dine alone is that if I’m seated at a banquette, I am forced to sit on the bench, which is something I never do when I’m with others. I like being able to position my chair when I eat, which is something I can’t do on the bench. I also think I’m less conspicuous taking photographs if I’m facing towards the bench rather than out towards the room. 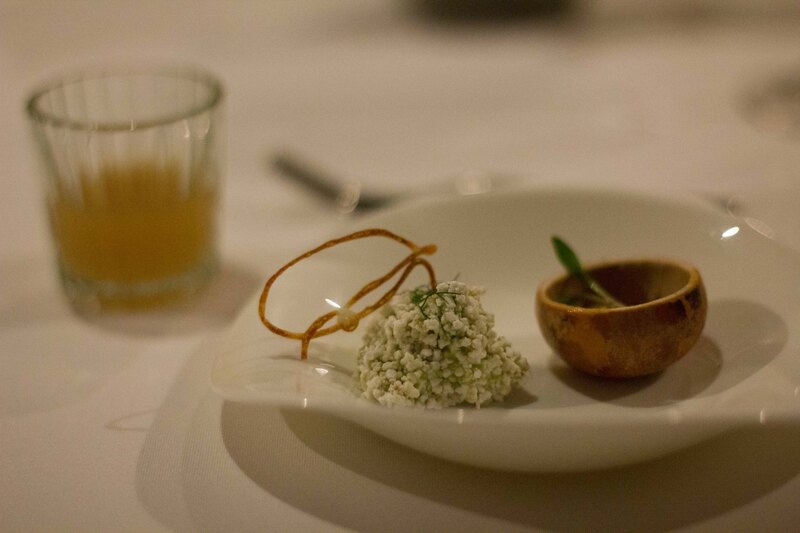 But these are small issues which I got over quickly as I anticipated my dining experience. 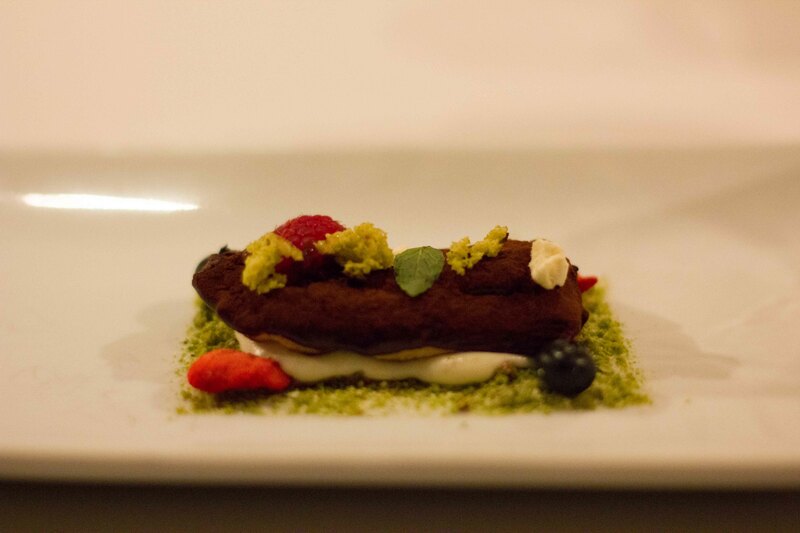 Biko is described as a “Spain and Mexico colliding in an explosion of flavour” as it explains the chef’s Basque roots and influences in its Mexican cuisine. The regular menu has a traditional Basque section of flavours from San Sebastian which is where Chef Otezia and Alanso are from and a modern section which highlights forward and creative techniques from Chef Bellver who did some time with Adria at El Bulli. I decided to choose the menú de degustación, which I knew would be the best way for me to be taken on a lyrical journey by the chefs. There are a couple of things to note about my meal Biko. The Chef’s tasting menu was priced at 985 pesos, approx US$75, which is unbelievable compared to most of the restaurants on the World’s 50 Best list. 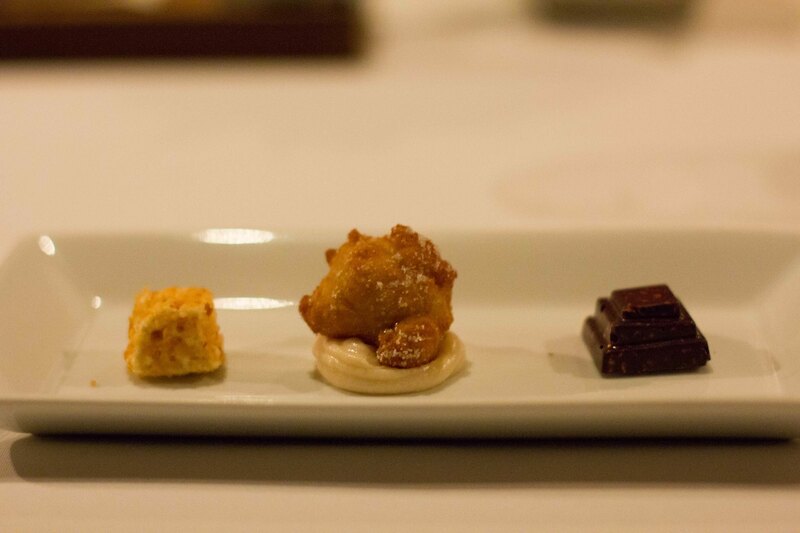 I decided that even though I never get the wine pairing, I did for this meal because I thought it would be easier. Easier because even though the staff at Biko spoke some English, I wanted to not have to feel “lost in translation” through the pacing of a meal if I wanted to order another drink. And heck, if I was going to eat a meal by myself, then why not entertain myself by drinking. Lastly, totally out of character, I took notes for this meal but only to help pass the time between courses. But even with notes, I’m a bit spotty with what I was actually being served. Looking back at what I wrote, I believe I was “lost in translation” after all. 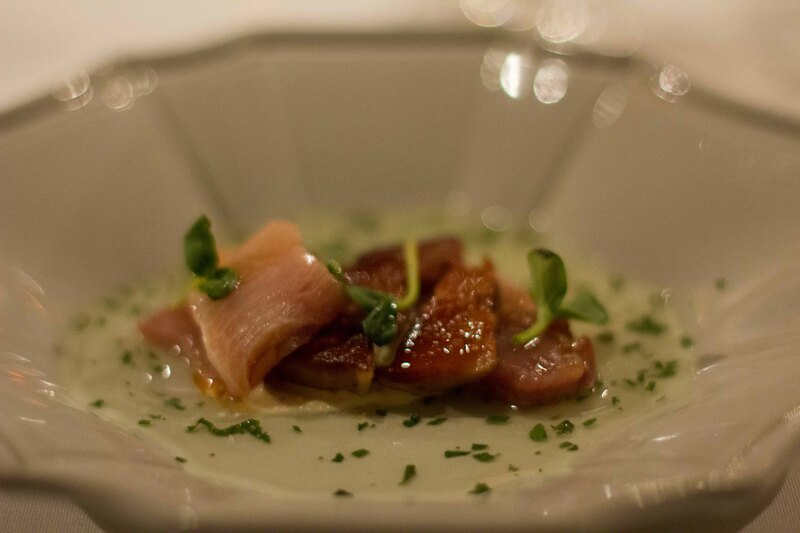 Jurel, foie gras y manana melteada – translated into makerel, I think this was actually tuna with foie with a malted apple sauce. The dish worked better eaten in individual components rather than together. 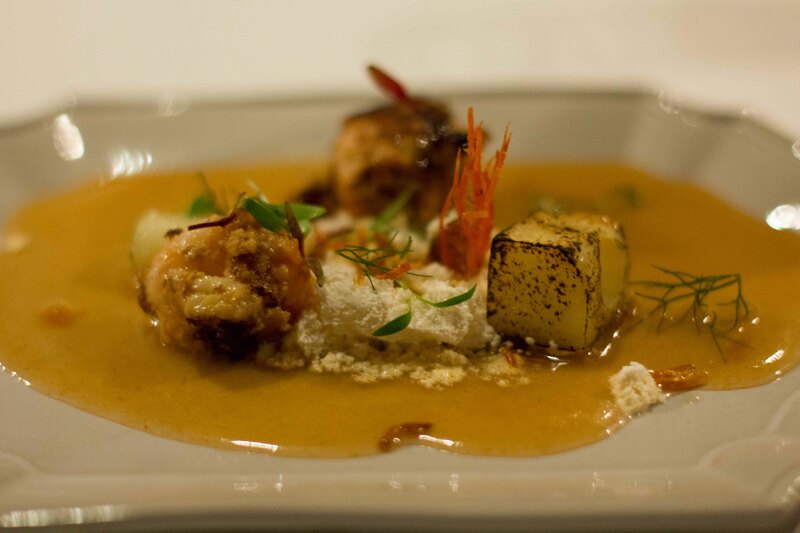 El camaron y su cabeza – Seared shrimp,potatoes and a sauce made with cheese and essence of shrimp head. A dish with potatoes and shrimp head? Of course this was my favourite of the evening. 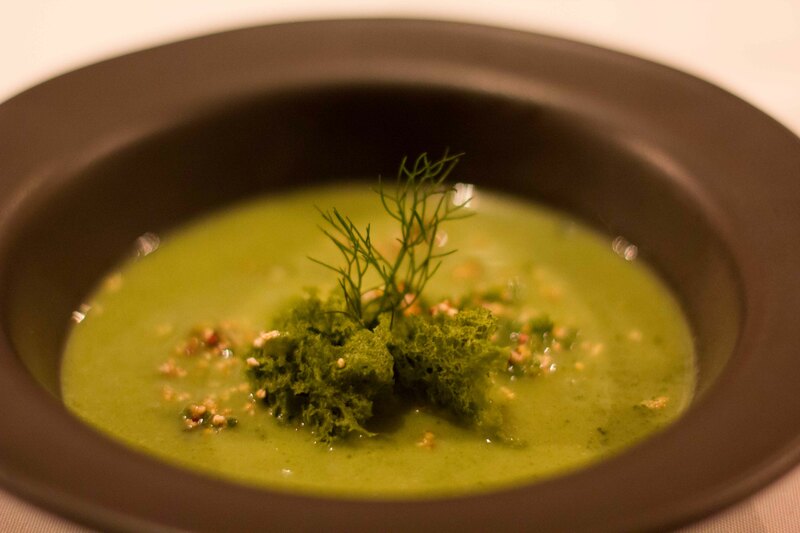 Crema: La de amarantos – Quintonil greens and soup. Given the bright punch of colour this soup had when served, I was surprised at its subtly but depth of “green” flavour. 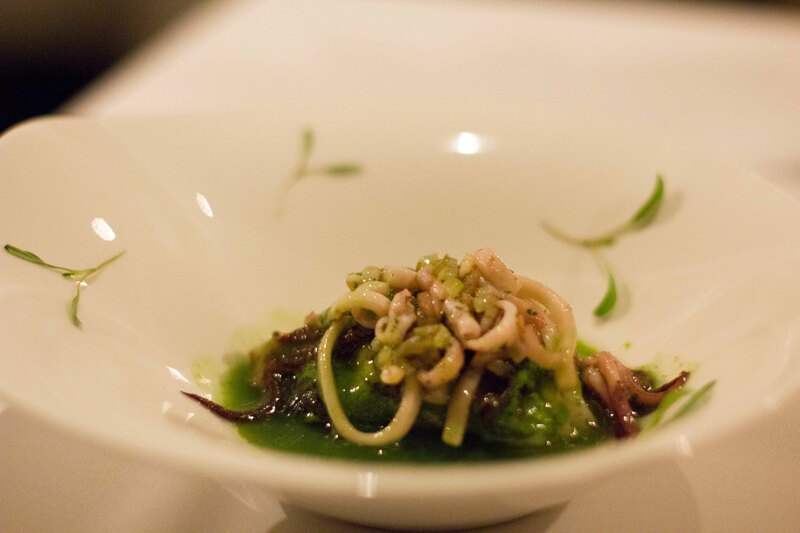 Plancha: La pesca en verde apio – Underneath the vibrantly green celery sauce and fun squid noodles was a perfectly cooked piece of white fish. Estofado: Ternera a colour – Veal in a rich sauce with hits of sweetness and herbaceousness from the polka dots of colour on the plate. Chocolate: Que pasa tronco! To be honest, I was so full at this point, but wanted to put in a good showing. I do remember thinking that I would have thought this not too sweet chocolate dessert would have been just my thing had I not overeaten. 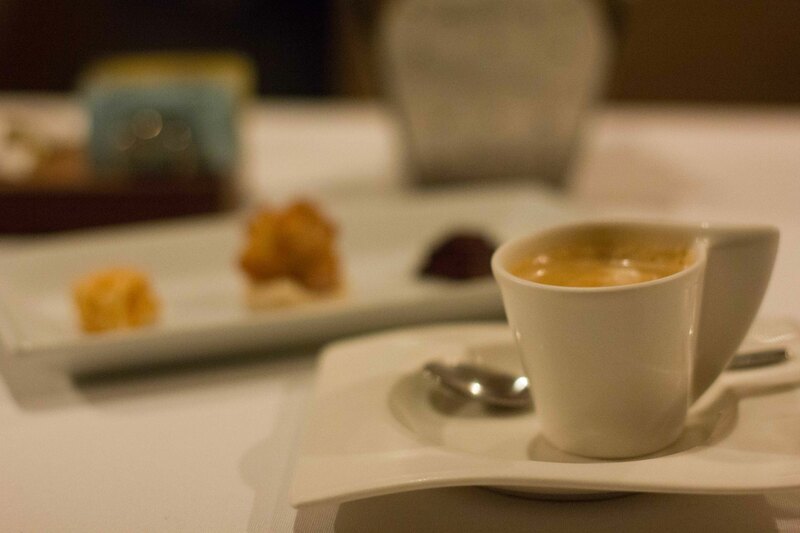 Delicious coffee after dinner. I was very tired, stuffed and at the verge of overconsumption, so I thought caffeine would help stimulate my appetite for the last little treats put on the table for me.